There is a great urge, with this loud little hexagon, to pump it to get a big loud noise out of it. But that sort of approach will really hold you back if you want to play with any speed or finesse. If the bellows are less extended they’re going to be more balanced and responsive. I achieve best results when I minimize bellows travel, and keep them at about 1/3 to ½ extension. It only stands to reason: the further the bellows have to go to sound any given note, and the faster they are travelling, the longer it will take to reverse that momentum to start the next note. But this one-third one-half extension maxim is only a rule of thumb. When we play long passages in the one direction so that the bellows are almost fully extended or compressed then that rule cannot apply. But to facilitate frequent bellows changes in the smoothest way, think in terms of that maxim. It was once said to me that the action of a concertina is like a car’s engine – it runs best when it’s firing properly. And it will fire best ( i.e. in time) if you haven’t got the bellows going too far and too forcefully in one direction. So this means keeping the keystrokes short, and bellows travel minimal. I liken it also to an old Singer treadle sewing machine. My grandmother had one and for years I couldn’t get it to rotate and operate. Until I was shown that when your foot is on the treadle you had to push according to the cycle of the wheel and the belt, not force the action. So it is with the concertina. Try to discover by feel its inherent rhythm. Does that seem too obvious for words ? Perhaps, but it’s the most important thing anyone can learn about concertina. More significant than tips on ornamentation or fancy alternate fingerings. To me it is akin to many human activities, sport or otherwise – the machine has its own inherent rhythm and action and you must fit in with that, not fight it. So: don’t try too energetically to force the music out of the instrument. Just let it play the music. When you realise this the concer can take on this almost magical autokinetic quality, and you’re just the muscle which lets it speak. A very light touch is the best way to do this. Surprisingly, to actually release each button momentarily before playing the next note, so that there’s actually a gap of a fraction of a second. So when playing at speed it may help to imagine that the buttons are hot and that your fingertips can only bear to rest on them for a microsecond ( of course there are exceptions, say at the end of a phrase, or playing really slow tunes). You may not always achieve this, nor to have a tiny gap between each note, but it will bring you closer to being in time and in balance. I believe this to be the single most effective path to smooth playing, and thereby to greater speed. We all end to rush passages, usually of just a couple of notes at a time, which are technically difficult for us. You hear people doing this on whistle, flute, fiddle. This gets us ahead of the session we are playing in, and in the case of concertina, it throws us out of sync with the action of the instrument. Associated with the above is being aware of which muscles really are driving the bellows. As John Williams astutely points out on his tutor DVD/video, it’s really the shoulder, pectoral and upper back muscles which are giving most of those little pushes to the bellows. It’s not the hands, wrists, forearms, elbows, as one would tend to think. This realisation helps you to not want to “work” the bellows so vigorously with wrists and forearms. Because by doing that you push them further and faster than they need to go, and that makes bellows changes slower, and also reduces the capacity of the bellows to sustain long passages in one direction (press or draw). I also find that to achieve fluency, I always start off slowly, whether practising on my own or in sessions. I deliberately relax mentally, and initially play appreciably below performance or session speed. If I do this and consciously adhere to the metronome in my head, soon, usually within a minute or two I am able to play quite quickly. I start to flow with the instrument and speed just happens naturally without me accelerating consciously. Because my head and my hands have locked into the instrument’s action. 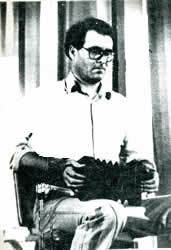 Australian concertina and box denizen ( now deceased) Jacko Keavans, who has been the source of so many important little tips for me over time, once pointed out to me that our most naturally efficient fingers, those with the most power and flexibility, are the middle 3 of each hand. The little fingers ( or pinkies) don’t want to work quite as well. However, they can be trained and strengthened. Over a period you can train them to cross-row and stretch beyond their “home” keys ( LHS C2 and G2, RHS C9 and G9). One way to assist this process, apart from say, playing scales, is to do some isometric exercises, i.e. little sequences of notes which require the repetitive use of those little fingers. It is much more important on the LHS as that pinky has responsibility for 4 buttons ( C1, C2, G1, G2 ). I suggest things like descending from G to D, thru F# and E of course, and then back up, repeated over and over. Similarly, all on the draw – D-F#-A and then back. This of course is just the sort of thing that will occur in so many tunes, but if you’re shying away from tunes which use these uncomfortable combinations then at least doing some isometrics gives them a workout. If you’re anything like me, you will get tense when practising difficult pieces or passages. I find I start to force the music, the bellows travel just that fraction further, either in or out, and so in effect I slow the tune down and make it even harder to play. By concentrating and endeavouring harder I end up getting tense and defeat my purpose. So, the answer is obvious – stop, relax your fingers, slow down the tune you’re playing, and shorten your bellow movements. It’s generally playing difficult new reels that I tense up and must consciously keep the bellows moving least. This technique has particularly helped me in getting passages below D to flow. Those G1, C2 and T2 buttons respond more slowly, and on many instruments are not as loud as the rest of the instrument. They are awkward because it’s our less strong fingers which play these buttons, and sometimes you have to twist and change fingers on some buttons. A light touch and minimum bellows travel on these notes is especially important. You really can’t blast these reeds like you can those in the mid- and upper range of the instrument. I used to avoid those low notes, play them up the octave, or shun the tunes which go down there ( like Farewell To Ireland). But with some slow and patient practice I opened up this my ‘final frontier’ of the Anglo concertina.